An economical alternative to bottled water, water coolers are becoming more and more common not just in the workplace but also at home, and for a good reason. With new energy-efficient models and bottle-less options, the convenience of clean pure hot or cold water at your fingertips can be hard to pass up. At Royal Flush Plumbing, we know h20. Our experience and long-standing relationships with suppliers allow us to offer unbeatable value on all water coolers and services. We carry a wide selection of water cooler models and styles with options such as extra water capacity, child safety features and energy-efficiency. Did you know that some water coolers use more energy than refrigerators? Our energy-efficient water coolers use up to half as much energy, helping you save money, and the planet. 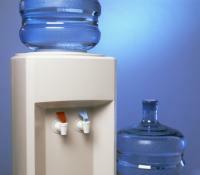 For bottle-less water coolers, we offer reverse osmosis or carbon filtration systems. In addition to water coolers, we also provide a full array of water cooler services, including installation, maintenance and water deliveries. So whether you’re interested in standard or bottle-less water coolers, for your home or office, give us a call at 770-385-5911, and we can have you enjoying clean healthy water the very same day!